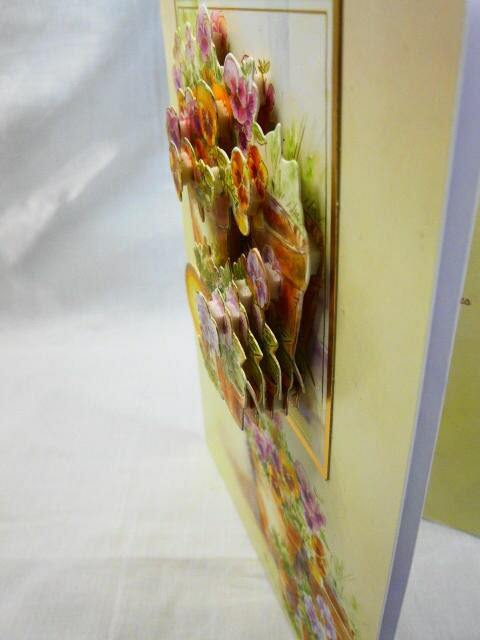 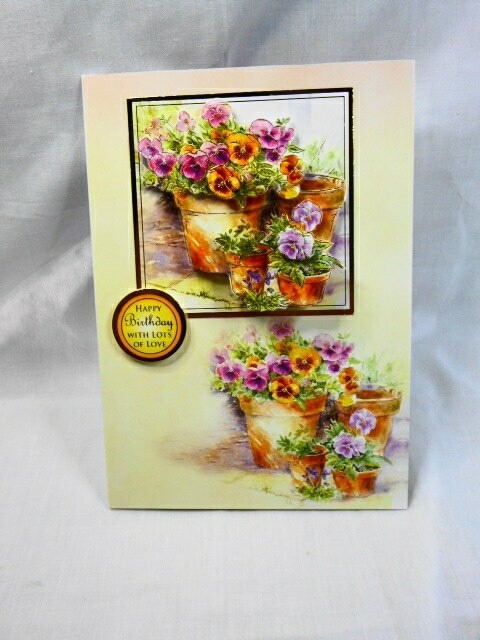 A beautiful 3 D decoupage female greeting card, made from white card base, layered with floral patterned card, large topper with a 3 D decoupage of pansy flowers in flower pots, a sentiment is saying, ' Happy Birthday with Lots of Love'. 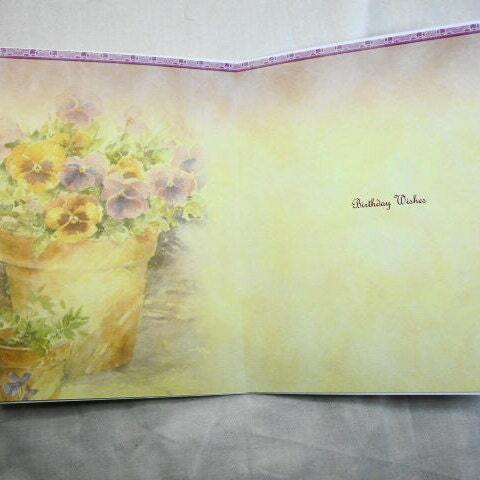 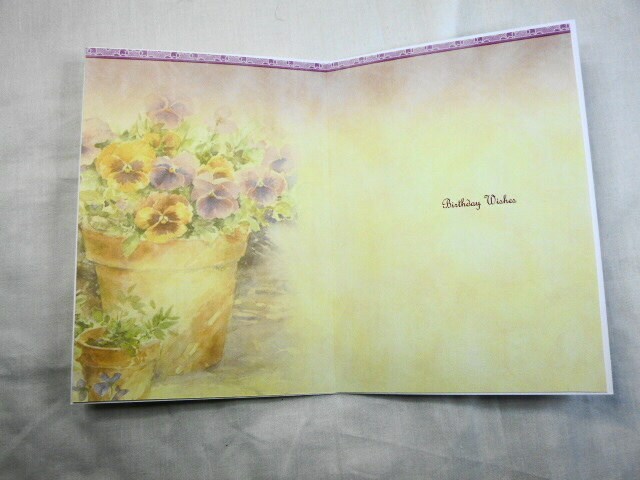 Inside the card matching insert paper, saying 'Birthday wishes'. 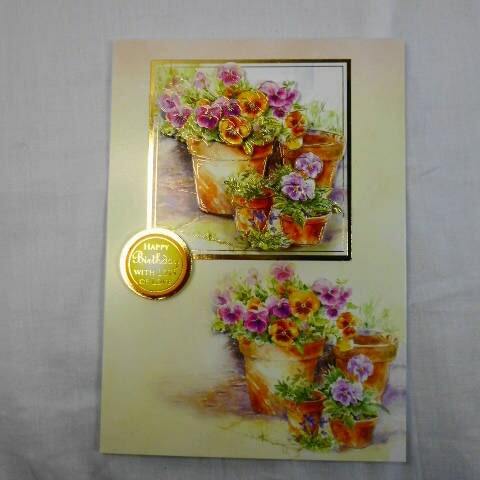 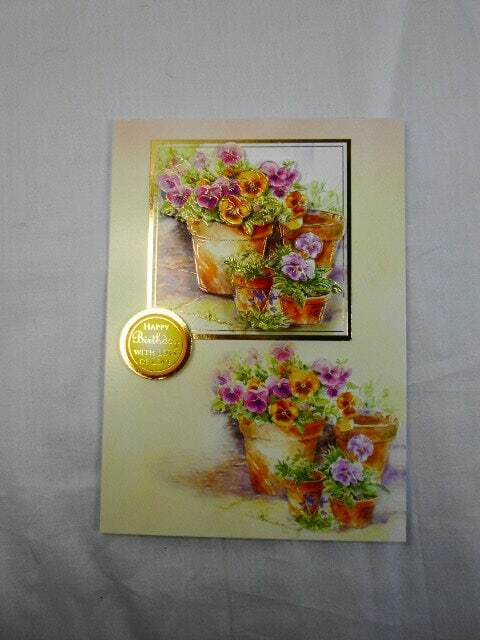 The card measures 5 inch x 7 inch, 13 cm x 18 cm, Includes a white envelope.